INALA, meaning ‘abundance of goodwill’ in Zulu, delivers a spiritually uplifting live experience, powered by a cultural explosion of music, song and dance. 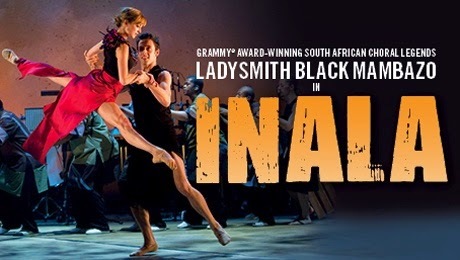 Featuring world-class current and former dancers from The Royal Ballet and Rambert, this critically acclaimed production embraces an exhilarating fusion of South African and Western cultures live on stage, to create a unique, immersive experience that reflects both cultures. INALA’s original score is composed by Ladysmith Black Mambazo, Joseph Shabalala and British composer Ella Spira, who created the concept of INALA with First Artist of the Royal Ballet Pietra Mello-Pittman. 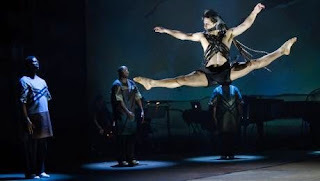 Blending the intricate rhythms and infectious harmonies of their native musical roots with live percussion, piano and strings, Mark Baldwin’s choreography unites Zulu traditions with classical ballet and contemporary dance, performed by an exceptional company of 18 dancers and singers.